Traveling in China is an adjustment just like any other new location. 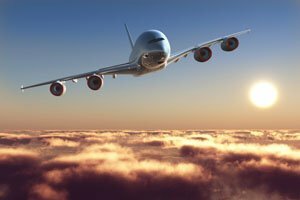 For international travelers, the sights and sounds will be different wherever they land, but the one glaring consistency is the time difference. In China, they have only one time zone, GMT+8. This means that the time across the country is always 8 hours ahead of GMT (Greenwich Mean Time). 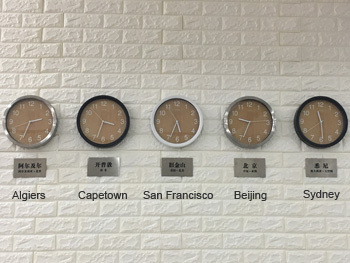 This is known as Beijing Time, though it is the standard across all five different time zones that exist in China. This can sometimes create confusion in different parts of the country. In the West and East the sun may appear in different places but the official time calculation will be the same. Much like as if the entire United States ran on D.C. time, this affects people who live in the areas farthest from Beijing the most. We have provide a world clocks and time zone map tool to help you understand the time difference between home and China on the go. You can can find the current time in different regions and cities, and can compare time zones quickly and easily by hovering over the map. As a traveler in China, the difference in time zones will affect you in several ways. After a 13+ hour plane ride, the jet lag can be intense. Depending on your arrival time and schedule upon landing, you may wish to sleep or stay awake on the plane. The best cure for jet lag is to power through and try to get back on a normal sleep pattern as quickly as possible. Your friends and family will likely be waiting for news of your safe arrival in China. Make sure you have a plan in place for when and how you will contact them. It may be helpful to agree convenient times for both you and people back home for real time communication, so that you are not waking each other up at night. There is likely to be a time lag between emails, messages, etc. being read, due to people the other side of the world still being in bed when you send them. Travelers in China simply take the local time back home and add or subtract the necessary hours to figure out the difference. An advantage of the standardized Beijing Time is that no matter where you go in China the time conversion will always be the same. Unlike most areas in North America and Europe, China does not acknowledge Daylight Saving Time (DST). When traveling in China, it is important to remember when other countries are observing the time change. Even though the time in China will not change, the time back home still will, which will change the time differnce (by one hour). 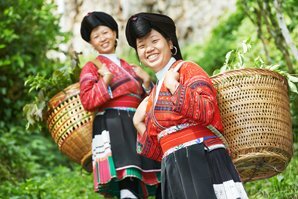 When planning your first trip to China, we encourage you to contact us for all your travel questions. A good time to call your personal travel agent in Beijing might be anytime during our office hours from 9:00 AM to 5:00 PM Beijing time. Calling before 9:00 AM London time for example will ensure you reach us before our closing hours. While traveling in China, many tourists worry about keeping in contact with their loved ones. China Highlights encourages you to find the best way to keep in touch that works for your specific needs. Share this article with your friends and family to help them understand the time difference as well so they can know the best times to reach you on your journey.